HostSearch interviewed Mateo Meier, President and CEO of Artmotion - one of the fastest growing hosting companies. HOSTSEARCH: Hi Mateo, thank you for giving us the opportunity to talk with you again. The last time HostSearch has interviewed you was in 2007, could you please tell us what have changed since then? MATEO MEIER: A lot has changed since our last interview in 2007. Demand for security and confidentiality was well on its way back then, but ever since the NSA story broke, alongside WikiLeaks and countless other data breaches both from the government and private sector, Artmotion has experienced a massive increase in overall growth. More and more international clientele are looking to store their confidential and valuable data within the safe confinements of Switzerland with its high respect for confidentiality and privacy laws. Since storing data digitally is an ever increasing trend, we expect this strong growth phase to last quite some time. MATEO MEIER: Our secure hosting services currently include Swiss dedicated root servers & racks, cloud servers, datacenters, Swiss mail, managed servers and of course completely customized solutions to fit the IT and security needs of any company. In the months to come we’ll be rolling out additional storage solutions for the private sector and larger corporations as well. HOSTSEARCH: As a Swiss's fast-growing company, can you tell us how large your customer base is? MATEO MEIER: As we are not allowed to disclose any information on our customers I’ll just say that our customer base is in the thousands, with clients ranging from SME to global conglomerates. We’ve been growing at an annual rate of over 45% over the last couple of years. HOSTSEARCH: What are the advantages for you being based in Switzerland? MATEO MEIER: Hosting data in Switzerland has many benefits. The main reasons for companies to choose Switzerland as their hosting locations are Switzerland’s neutrality and independency, its low environmental risks and its long lasting political stability. As it is known, Swiss banks are governed by stringent laws, which also are a derivative of the nation’s privacy legislation. In consideration of data privacy and security issues, similar strict laws apply in Switzerland. Moreover, Switzerland is a country outside of the EU and therefore is not bound by pan-European agreements to share data with other member states, or other non EU countries. MATEO MEIER: For above industry security, stored data is constantly mirrored to a secure datacentre underground in a remote location. Artmotion's datacentres are fully protected by CCTV and biometric panels to limit access, as well as smoke detection and automatic fire suppression protocols to prevent arson, and the site is subject to 24/7 monitoring. For military-grade security, data can be stored on encrypted disks, which can only be accessed through a highly secured HTTPS/SFTP connection using algorithms such as AES to encrypt data transferred. HOSTSEARCH: Can you tell us more about Artmotion’s datacenter in Switzerland? 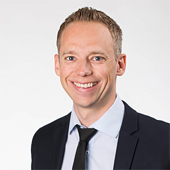 MATEO MEIER: With all of Artmotion’s datacenters being located in Switzerland, location becomes a key selling factor. The country offers a compelling proposition of tight privacy laws, a stable political system, very low environmental risks and independence from the EU despite being situated in the heart of Europe. HOSTSEARCH: How do you see the European hosting market growing in the near future? MATEO MEIER: The European hosting market as a whole will probably be growing at steady rates in the near future, with the difference being countries who support the data protection of their citizens and corporations. Countries like Switzerland, which already has strong data protection mechanisms and laws in place, will be one of the key players to benefit from this and will continue to expect above average growth rates. 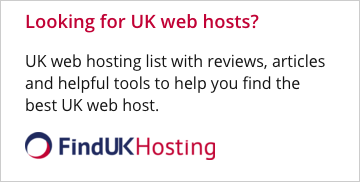 HOSTSEARCH: Is there anything you would like to share with our visitors who are looking for a hosting company in Europe? MATEO MEIER: HostSearch visitors who are looking into outsourcing their hosting needs to Europe should not only consider the obvious offer consisting of server setup, configuration and price but look beyond these facts into actual security, customer support and local privacy laws. Privacy laws differ substantially across Europe, so depending on your IT security needs, your search should start here. Artmotion is always happy to provide information on our internal security procedures and well as external ones like Switzerland’s constitution and laws pertaining to privacy. For customers interested in our datacenter and security systems, we also offer guided tours at our datacenter in Zürich. HOSTSEARCH: Last question, let’s talk about customer support. Can you please tell us more about how Artmotion supports its customers? MATEO MEIER: Support is available 24/7 via our ticketing system and call center. We’ve also introduced a live chat recently which allows us to handle customer requests even better and faster. 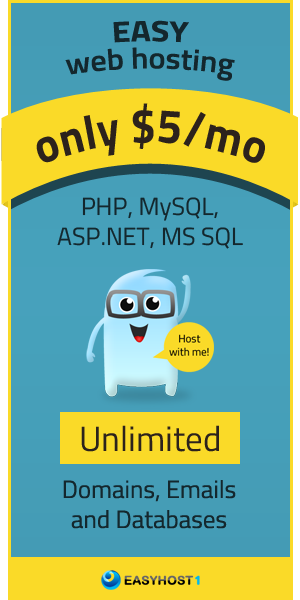 All standard servers are available within 24 hours of payment clearance to get clients up and running as quickly as possible. Once up to speed, general support enquiries will be answered within six hours and VIP support enquiries will be answered within 60 minutes during business hours or 120 minutes outside business hours. This means that regardless of how valuable the data is, any hosting issues that do arise will be resolved in next to no time. MATEO MEIER: Thank you as well, we’re already looking forward to our next interview opportunity with you!